While looking at radiators I found this one https://www.amazon.com/GPLUS-Aluminum-Radiator-CHEROKEE-COMANCHE/dp/B07CSQZ78X/ref=mp_s_a_1_29?keywords=jeep+radiator&qid=1552018019&s=gateway&sr=8-29 on Amazon, but while looking at the pictures I saw this and i can't figure it out. Are those fins inside the radiator tubes? That's kinda what it looks like. 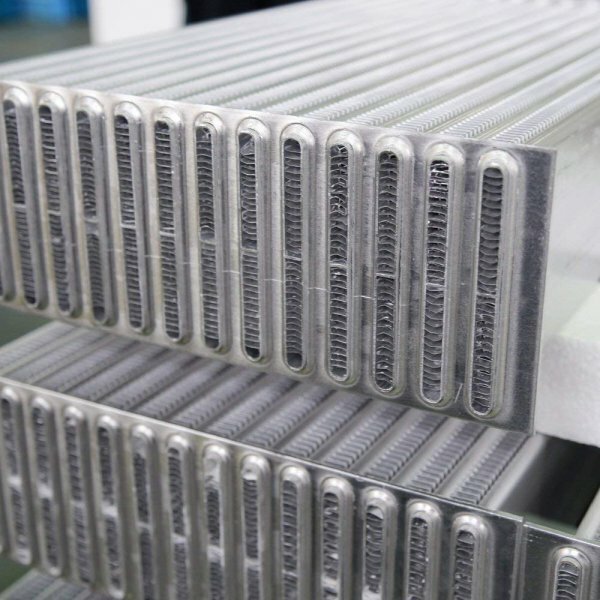 I can't say I know what radiators normally look like inside, but I imagine like the fins on the outside, they increase the surface area available for heat transfer. You would however need to be careful what coolant you're running to avoid plugging them up. It should help it pick up a little more efficiency and they may still be larger openings than some OEM type designs. It's hard to say exactly as the picture appears generic and is not likely of the core of that actual rad. If that truly is the case it sounds like a huge flaw. IMO, what minimal efficiency you might gain, the significalty increased chances of it clogging completely negate. Unless you had a good coolant filter and pristine coolant at all times, neither of which I've ever had, I would never knowingly use a rad with internal fins. That looks like an intercooler to me. I've never seen a radiator with tubes that big before. It's possible that they used a bad pic? Automotive radiators do not have fins inside the tubes. If the picture above is not representative of the actual product, when it seems obvious that's what the seller wants you to think, shouldn't that be considered fraudulent advertising? 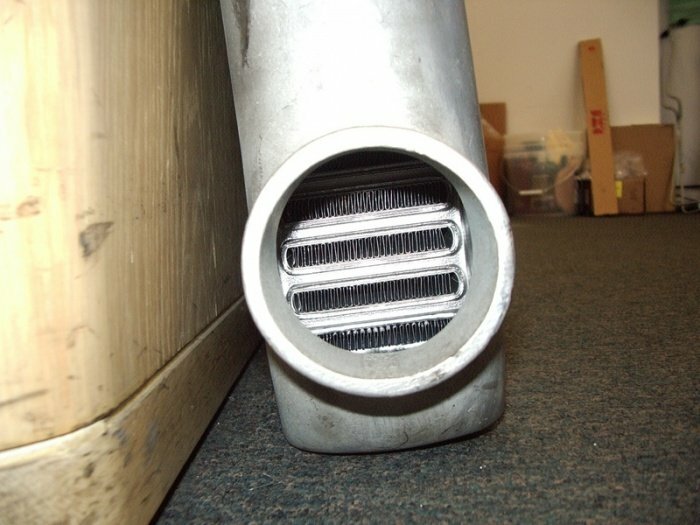 I did a quick Google search of intercoolers and found loads of examples like this. Doing a reverse Google image search reveals that image and several others from that posting are also used for several other postings. 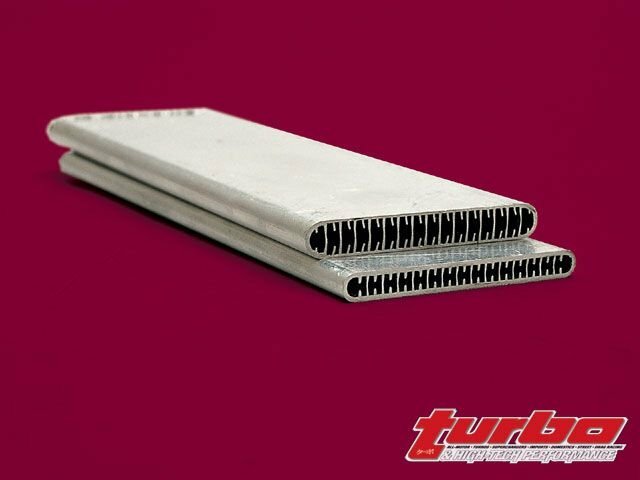 Including intercoolers for subarus, radiators for motorcycles and other vehicles. The question now is, do you consider that just normal marketing or something fishy to stay away from? There's a not unreasonable chance their sales/marketing staff have absolutely no clue what goes into a radiator or intercooler, sure. That's not always indicative of the quality of their products, but if you call them on it and they don't admit or refuse to correct, that's a different matter. I suppose we live in very different parts of the world, but around here cooling system problems cause dangerous cold-weather related issues, not just hot weather annoyances. I've dragged semi-abandonned vehicles out of fields that still have clean coolant in them. It's probably made in china, and the ad originated in china. You see examples of it all over amazon and ebay. You can tell whoever wrote the ad has english as a second language. Doesn't necessarily mean it is a bad product though. Not following you, but you are right about the different parts of the world thing. I'm in south FL and I think your in Canada correct? Yeah. What I was saying is not everyone neglects their cooling systems. Some people do, and they pay the price. Run less tha the proper 50/50 blend, you'll freeze it. Antifreeze is loaded with corrosion inhibitors. Run tap water, junk accumulates and plugs your heater. Poor thermostat or the wrong temp rating... Basically anything that compromises the cooling system will adversely affect your heater. Ya, I'm bad about dumping whatever is within reach in for coolant . At least in my Jeep, my daily that I rely on I'm much more finicky. I should have been more specific, I didnt understand the bit about abandoned vehicles with clean coolant. Why were they abandoned and why does it matter they had clean coolant? Old worn out vehicles parked behind the barn. Clean coolant because they didn't have just whatever was in reach dumped in, despite being old and worn out. It means they'd be less likely to clog up fins that we've now established are actually inside intercoolers, not radiators. Oooh, for some reason I though you ment vehicles that had slid off the road and into pastures/fields during winter. I was very confused, but I got the picture now.